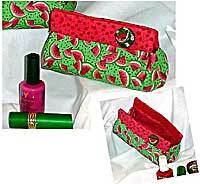 Carolyn's Little Bitty Bag Pattern is perfect for small items such as lipstick, etc. 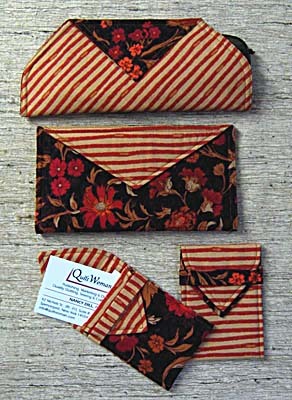 Full pattern pieces and instructions are included and the finished size is 3" x 3" x 5" long. Fat quarter friendly!